In the most intense game of their season, the L-S Pioneer Varsity soccer team took on the Bermudian Springs Eagles in the first game of the District Playoffs. Bermudian Springs took the first shot in the first 2 minutes from a direct kick awarded for a personal foul. The Pioneers weren’t concerned, however, and Peyton Denlinger made the first shot for the Pioneers a minute later, from the corner. Peyton made another shot within the next minute that rolled to the Eagles keeper. Halloween Eve was a strong win for the Pioneers at Lebanon, but also a concerning one. L-S had a -1 turnover differential , allowed three sacks and two 50+ yard Lebanon TD runs. Such a poor showing would have certainly been a loss against any other team, and is very concerning only a week away from playoffs. But when you win by 41 points, that cures a lot. Recently, President Obama called for reform to standardized testing, something we’ve needed for far too long. He released through Facebook a video briefly detailing what this reform would look like. He asks that testing makes up no more than two percent of class time and that each test should fit three criteria: must be worth taking, should enhance teaching and learning, and should give us an all-around look at our students’ and schools’ performance. Obama ran on the denouncement of standardized testing but hasn’t made a reduction to it since his 2008 election, and actually implemented his education initiative Race to the Top which encouraged states to adopt the Common Core (and thus a new set of standardized tests). Obama's recent announcement finally shows signs he may come through on his promises, and make an effort to fix our failing education system. If you ever wonder why some liberals really make conservatives angry, this debate is the perfect answer. These moderators from CNBC did not have any intention of asking legitimate questions about the economy as they claimed they would. The moderators did everything in their power to humiliate each and every one of the Republican candidates. In the Democratic debate, candidates were given two minutes each for an opening statement. In this Republican debate, each candidate was given thirty seconds to explain their weaknesses. In the words of Freshmen and master cuber, Mason Knarr, "Cube or die." Even though there is one solution out of 43 quintillion possible combinations, the inventor of the Rubik’s Cube spent a month of solid research trying to figure out how to solve it. A Rubik’s Cube is a 3-D combination puzzle invented in 1974 by Hungarian sculptor and professor of architecture, Erno Rubik. The classic Rubik’s Cube has six sides covered by nine stickers, each of one of the six solid colors: white, red, blue, orange, green, and yellow. The objective of the game is to have each face returned with only one color. it took him two days. Today, less than two minutes. “It’s an event made to raise awareness of mental health issues,” she says. 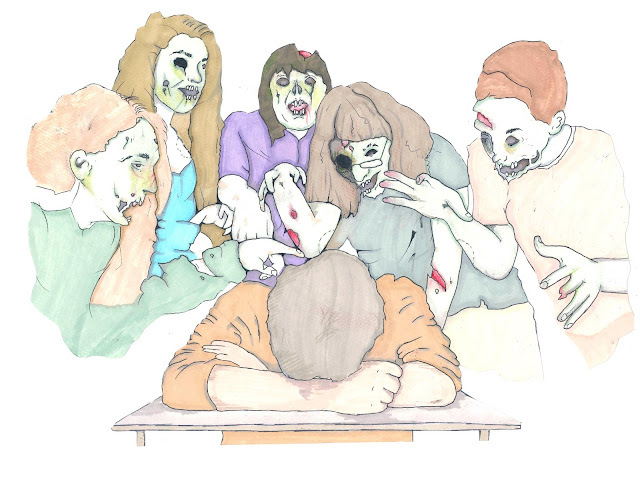 “Many people live with a mental health issue, and yet it is not commonly talked of or addressed.” The Aevidum club, dedicated to making school a better, more inclusive, and happier place, is thus holding its first large scale event to get out its message. Op-ed: Oh the thinks they will think! Editor's Note: Dr. Seuss wrote fun and whimsical books for children, and this essay isn't too serious either. Five years ago, long time Lampeter-Strasburg Superintendent, Dr. Robert Frick, announced his retirement after 45 years of service to the school district. Read the entire article found in the LS News archives. This and other back issues are available for reading. The fact that Village Road is currently a dead end isn’t news to anyone who lives in Strasburg. 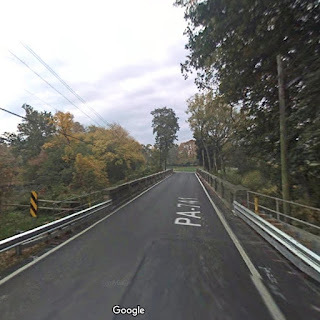 The 5,400 vehicles that traversed the bridge spanning the Pequea Creek daily have mostly been rerouted either down Penn Grant Road or out onto the Strasburg Pike since April. Maybe it doesn’t seem like a whole lot, but bus drivers and students on the way to school will argue that the extra cars on the road make a huge difference. As always, the community is annoyed by the disturbance that the road block causes, especially because it directly follows the renovations of the Strasburg Pike Bridge. Strangers turn around in frustrated residents’ driveways, bus drivers navigate different bus routes, and the detour uses up precious time (especially if you’re running late to homeroom!) and gas. However, PennDOT deemed the old bridge structurally deficient, and consequently had to make repairs. Students and staff assembled in the Performing Arts Center this afternoon to learn about the upcoming Mini-Thon, a district-wide event that will be held from December 4 at 6 PM until December 5 at 6 AM at the High School. 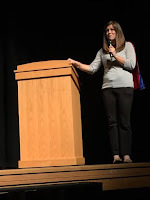 Masters of Ceremony Matt Paich and McKenna Kimmel welcomed students and staff, and introduced a skit performed by members of the Mini-Thon committee that reenacted the story written by Christopher Millard, in whose memory the fund was founded, shortly before his death. He thought the four pillars necessary to overcome cancer were courage, wisdom, honesty, and strength, and wrote a story in which a protagonist went on a journey to find those four diamonds and defeat a witch -- cancer itself. "We could have used a few more rehearsals," acknowledges Mrs. Lindsay Shehan, the advisor to Mini-Thon in regards to the assembly as a whole. "However, I hope people have a better understanding of what a Mini-Thon is and want to participate." Are you the parent of a senior student? Have friends in the Class of 2016? Great news! The Pioneer Yearbook is offering family members and friends of seniors the chance to be a part of the 2016 yearbook. The “Ads for Grads” section is an opportunity to congratulate seniors on a job well done! Messages are presented in the form of an advertisement in which you can include a personal message and photograph on a 1/4 and 1/8 page advertisement or 1/16 page advertisement with a message only. Order forms and additional information are available in the High School Office, HS Library, and on the Pioneer Yearbook website. Orders are due by November 13 to Miss Henry in the High School Library. Download a PDF of the order form here. No matter the circumstance or presented situation, schools and the government expect quite a lot from high school students. Seemingly intolerable and outright demanding, tasks resemble catapulted objects hurled into the direction of unsuspecting students. Students receive these tasks before they can prepare or let alone recover from the previous onslaught of toilsome work. The monotonous insanity of schoolwork must ease and the agendas of effected students must accommodate the instilled expectations of topics that supposedly represent the aspects of "real life" as a whole. Let us boil cabbage together on our ... violins? Some 170 burly laborers traversed through the bucolic Lampeter countryside to attend a hoedown this evening in the barn ... er, Performing Arts Center. Tonight marked the first concert of the year in the PAC, and it featured the fourth grade, fifth/sixth grade, seventh/eighth grade, and high school orchestras, all under the direction of Mr. Robert Shaubach, whom, in the spirit of the concert entitled "Hoedown", one might label the "caller" (although there was no square dancing, to the dismay of ... well, no one). The high school's symphonic orchestra -- often known as "full orchestra" -- opened the concert with Aaron Copland's venerable "Fanfare for the Common Man", which featured the orchestra's brass and percussion sections.